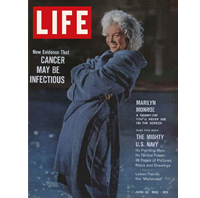 Original and complete June 22, 1962 Life Magazine with Marilyn Monroe on the cover in mint condition. No tears, page separations, staining or any flaws. Spine tight.